Vice Admiral Karambir Singh was appointed as the next chief of naval staff, succeeding Admiral Sunil Lanba who retires on May 30, the defence Ministry said Saturday. The government made the selection following a merit-based approach and did not go with the tradition of appointing the senior most eligible officer to the post, official sources said. Commander-in-Chief of the Andaman and Nicobar Command Vice Admiral Vimal Verma, who is senior to Singh, was among the contenders for the top post, they said. 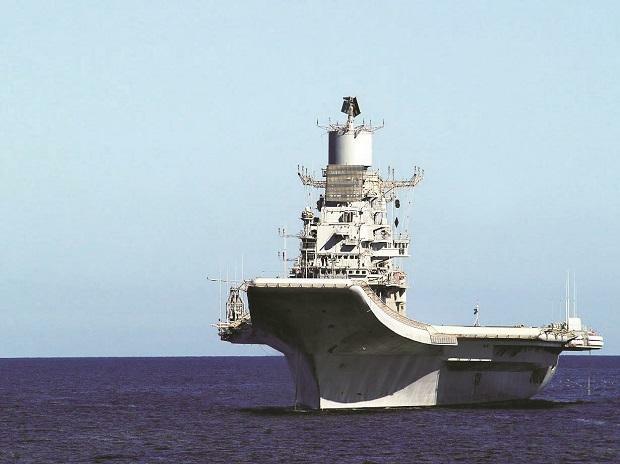 At present, Vice Admiral Singh is serving as the Flag Officer Commanding in Chief (FOC-in-C) of the Eastern Naval Command in Visakhapatnam, and he will take charge as Navy Chief on May 31, the defence ministry said. Before taking over as FOC-in-C Eastern Naval Command in October 2017, he also served as Deputy Chief as well as Vice Chief of Naval Staff. Besides Verma, the other contenders for the Navy Chief's post included Vice Chief of Naval Staff Vice Admiral G Ashok Kumar, FOC-in-C of Western Naval Command Vice Admiral Ajit Kumar and FOC-in-C of Southern Naval Command Vice Admiral Anil Kumar Chawla, the sources said. While appointing the Army Chief in 2016, the government did not follow the long-held tradition of going by the seniority. Born on November 3, 1959, Singh was commissioned into the Indian Navy on July 1, 1980. He earned his wings as a helicopter pilot in 1982 and has flown extensively on Chetak and Kamov helicopters. He is perhaps the first helicopter pilot to helm the Navy, said a Navy official. Singh, who a graduate of Defence Services Staff College, Wellington and College of Naval Warfare, Mumbai, hails from Jalandhar and a recipient of Param Vishisht Seva Medal (PVSM) and the Ati Vishisht Seva Medal (AVSM). In his career spanning over 37 years, the Admiral has commanded four ships -- Indian Coast Guard ship Chandbibi, missile corvette INS Vijaydurg, guided missile destroyers INS Rana and INS Delhi. Singh has also served as the Fleet Operations Officer of the Western Fleet. His other important assignments include Chief of Staff of the Tri-Services Unified Command at Andaman and Nicobar Islands and Flag Officer Commanding Maharashtra and Gujarat Naval Area (FOMAG). In the rank of Vice Admiral, he was also the Director General of Project Seabird, looking after infrastructure development of the Navy's modern base at Karwar. The Navy Chief retires after a three-year tenure or attaining 62 years of age, whichever is earlier.